Over the course of the two-week-old protests in Egypt, the American media has been consumed with debate over how the U.S. government should react. 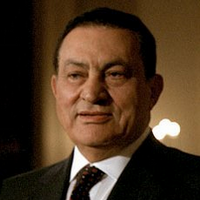 An emerging consensus across the political spectrum argues that President Barack Obama should support the protesters' demand that Egyptian President Hosni Mubarak resign immediately. This view was prominently expressed in an open letter to Obama by dozens of well-known scholars of Middle East politics, who advised him to essentially abandon 30 years of strong support for the Mubarak regime by throwing in America's lot with the protest movement.